Kia has exposed official drawings of the 2011 Picanto, ahead of its world debut at the Geneva motor show next March. Unlike its predecessor, the newcomer features substantially more masculine styling and Kia’s signature nose, the ‘tiger’ grille, styled by Peter Schreyer, head of design. The car soon to be presented at the Geneva motor show will be production ready, unlike the Picanto in these sketches, which sport large alloy wheels and ultra-low profile tyres. 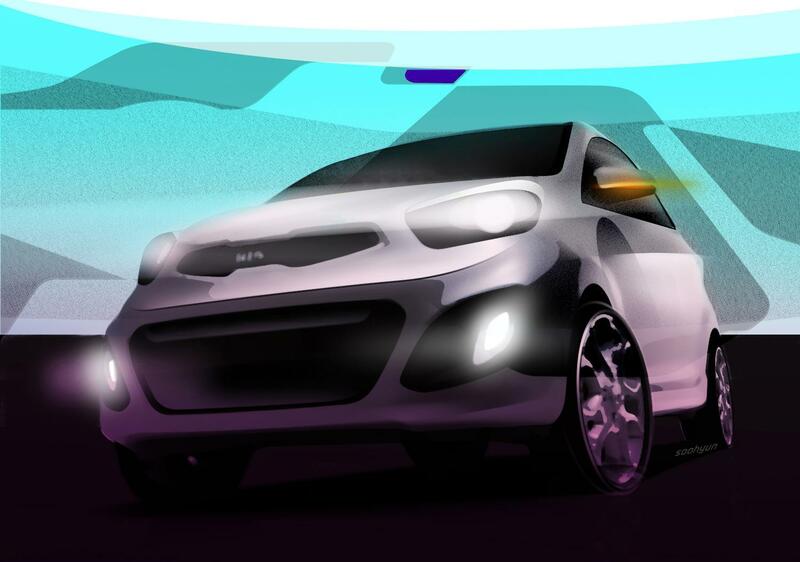 Although no interior photos have been showed, a Kia insider has described it as "good looking and funky". Under the short bonnet will live a brand new 1.0 litre petrol engine and a 3-cylinder turbo-diesel. A naturally-aspirated 1.2 litre petrol will also feature. UK sales will start in late Spring 2011 with an anticipated price-tag of £7,000. 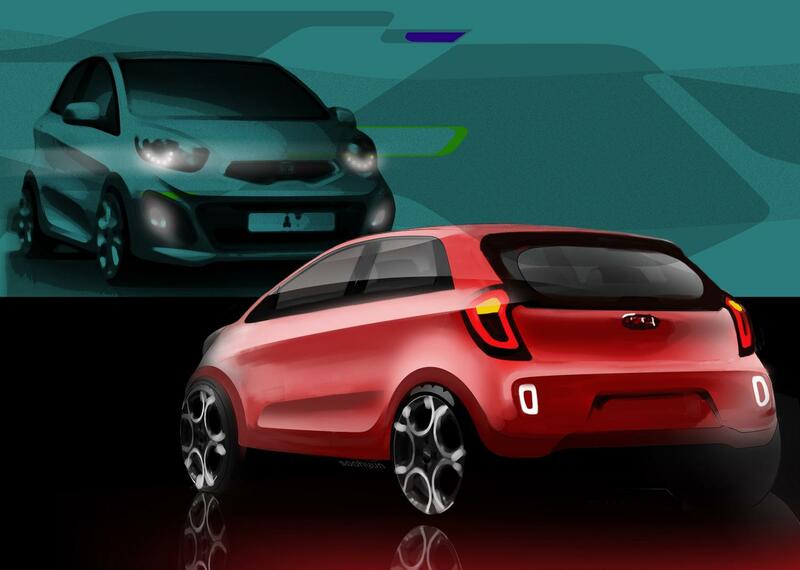 Kia has today released the first official design sketches of the next generation Picanto city car designed to stand out from the crowd. The new model has been styled by Kia’s European design team based in Frankfurt, Germany, under the direction of Chief Design Officer, Peter Schreyer. 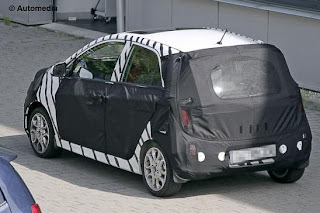 Exuding self confidence, solidity and maturity, the next generation Picanto is designed to break the city car mould and will be officially unveiled at the Geneva International Motor Show in March 2011 and will be on sale in the UK from late Spring.